What happens when you bring Elevation Worship, Tasha Cobbs Leonard, Israel Houghton, Travis Greene, Tye Tribbett, Kierra Sheard, and The Walls Group together on an album? 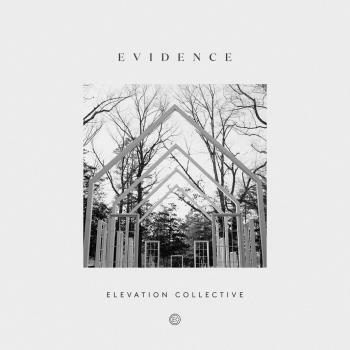 Elevation Collective, a new project from Elevation Worship, releases on Feb. 9 in partnership with these award-winning artists in Christian music to bring a fresh take on Elevation Worship songs. The project is comprised of 8 tracks and features members of Elevation Worship as well as the aforementioned artists. It is available for pre-order on iTunes, and comes with an instant download of one of the songs from the album - “Do It Again” (feat. Travis Greene & Kierra Sheard). “We’ve seen the impact our songs have made beyond the walls of our church,” says Chris Brown of Elevation Worship. “We’ve seen them reach people in different churches, led in different styles and arrangements, and it’s inspired us to partner with some amazing artists to discover new expressions of some of our favorite Elevation Worship songs.” Pre-order your copy of Elevation Collective: Evidence today and pick up the Original Master MultiTracks and instrument parts in RehearsalMix for "Do It Again." Elevation Worship is the worship ministry of Elevation Church based in Charlotte, NC. Our team consists of worship leaders and musicians who serve faithfully in the church every weekend to see people far from God be raised to life in Christ through the power of worship. We believe in writing and recording songs that lift up the name of Jesus and reflect what God is doing in and through the people of Elevation Church.